I love me some Rainbow Rowell--both Eleanor and Park and Fangirl are on my "highly recommended list. When I found out about her newest book, I knew that I would be reading it. Unfortunately, this may have been a case of unrealistic expectations on my part. 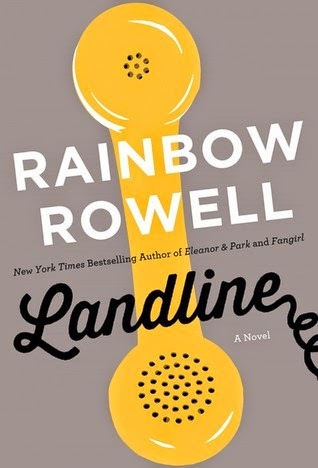 I can't be sure, but I think I would have enjoyed this book more if it had not been written by Rainbow Rowell. It's not badly written, but it just didn't feel like a Rowell book for me. At first, it reminded me of Jennifer Weiner (whom I enjoy) and then, when the magic realism kicked in, it reminded me of an American Cecelia Ahern (whom I enjoy). It did not, however, seem like it was written by the same person who wrote Eleanor and Park and Fangirl. I never felt that Rowell reached the emotional heights (or depths?) that she had in her other books. I kind of felt that Georgie always knew what the problem was with her marriage, so she never really had any big revelation. And, this may just be my prejudices, but I didn't really like Georgie. I will say that the book did keep my attention, even if I found parts of it lacking. While I felt that Rowell never dove deep enough into the plot, I was at least interested enough to turn the page. And, honestly, I think someone who has never read anything by Rainbow Rowell would probably enjoy this book more than I did.